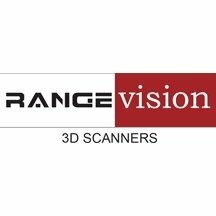 Rangevision is a company based in the Czech Republic, which provides high-quality 3D scanners for individuals and professionals, these scanners are easy to use and operate with plug and play. These scanners use structured light technology enabling the creation of high-quality 3D models. These scanners give you high-precision quality for a lower price than its competitors. Rangevision 3D scanners can scan objects smaller than 5cm up to pieces of over 1 m meaning that this scanner can be used in many different applications and also meets the needs of a wide audience. These scanners from the Rangevision brand are aimed at professionals because of their precision and versatility, however due to their ease of use they may also suit individuals who are looking for a powerful and easy to use 3D scanner. To work with your scanner and facilitate your scans, Makershop3D also offers the Rangevision plate which allows you to produce faster scans. The Range Vision turntable allows quick and simple scanning of parts in minutes. It is fully automated and integrated into the Range Vision software.